Good for your kids educational. 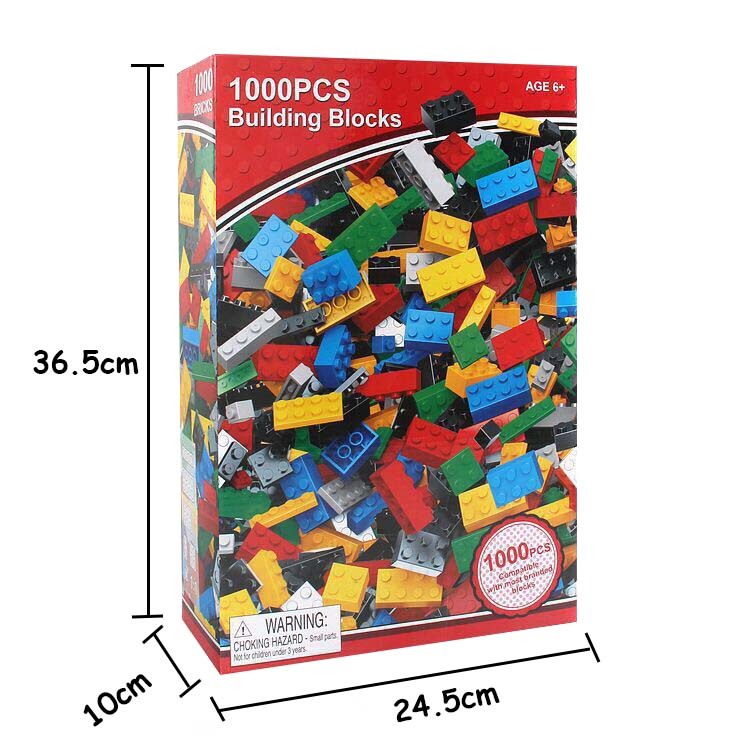 Hundreds of bricks and no rules! 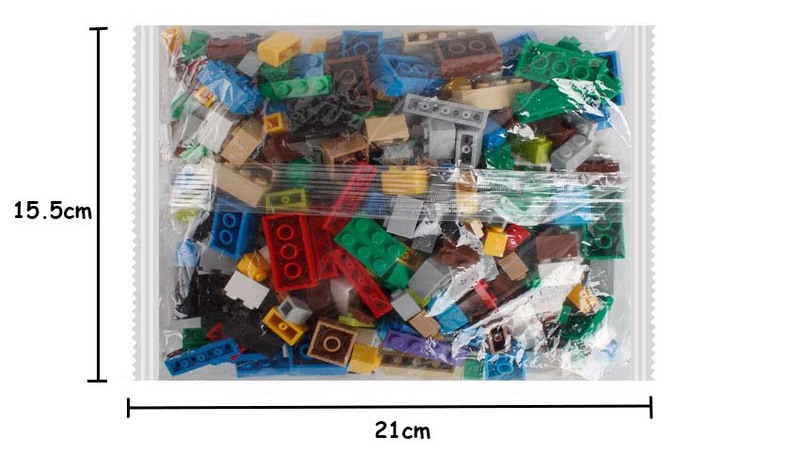 Fits any child's or adult's building level. The value of this set goes beyond the pieces issue and really encourages kids to create their own masterpieces. Small box can be put inside it to store other things as well. A very hardy and durable item that can take quite a lot. Completely dishwasher safe and very easy to clean. Durable and professional for used. Can make many different patterns. Good for the brain thinking and awareness of different colors. 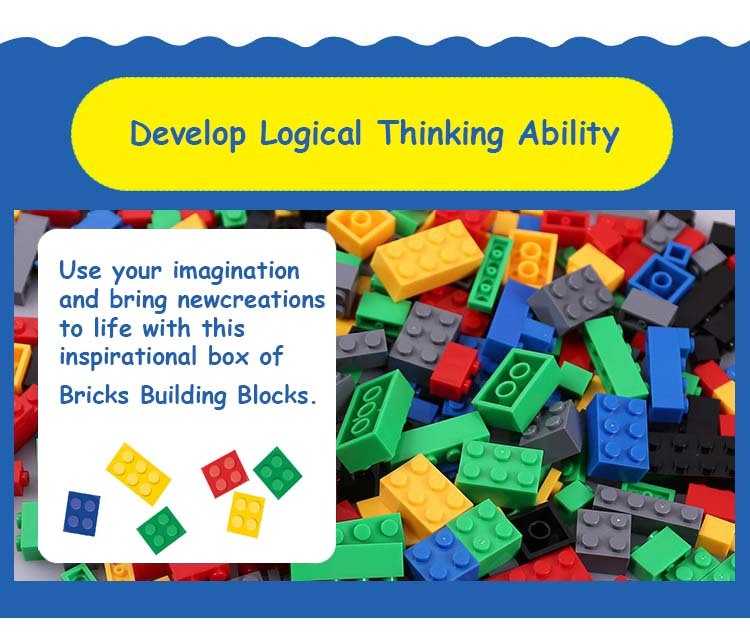 Develop your baby's logical thinking ability. Exercise co-operation skills and improve working ability. 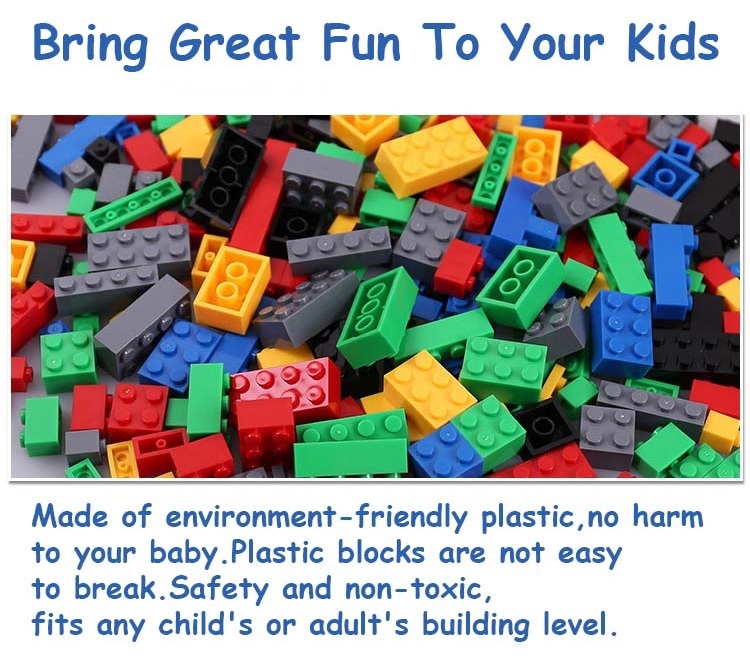 Made of environment-friendly plastic, no harm to your baby. 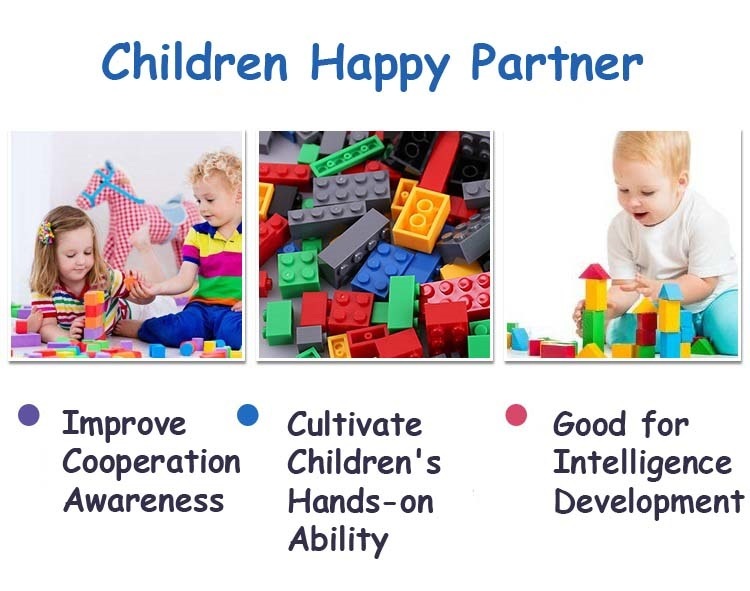 It is good for intelligence development, cultivate children's hands-on ability, and develop their imaginations. Training kid's reaction ability, also can improve the intelligence of the baby. Great for parent-child communication and cultivate kid's interest. 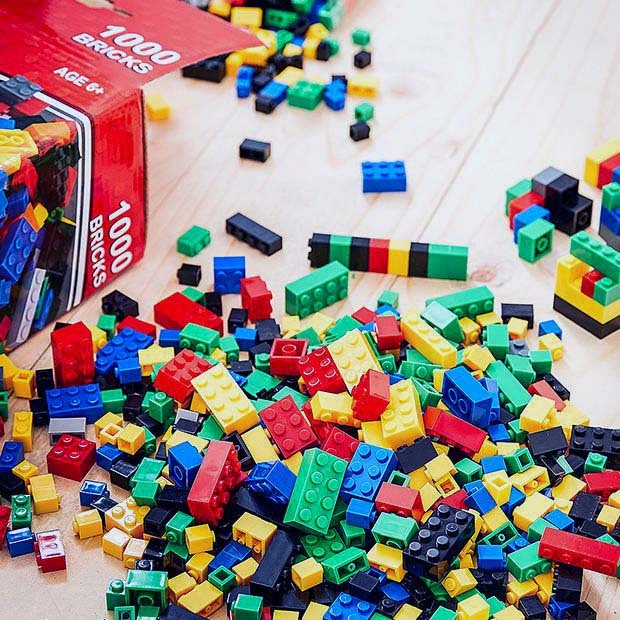 Your kids will enjoy and having fun with this. Can enhance children's intelligence, and assembling allow children to experience the success and joy of creation. 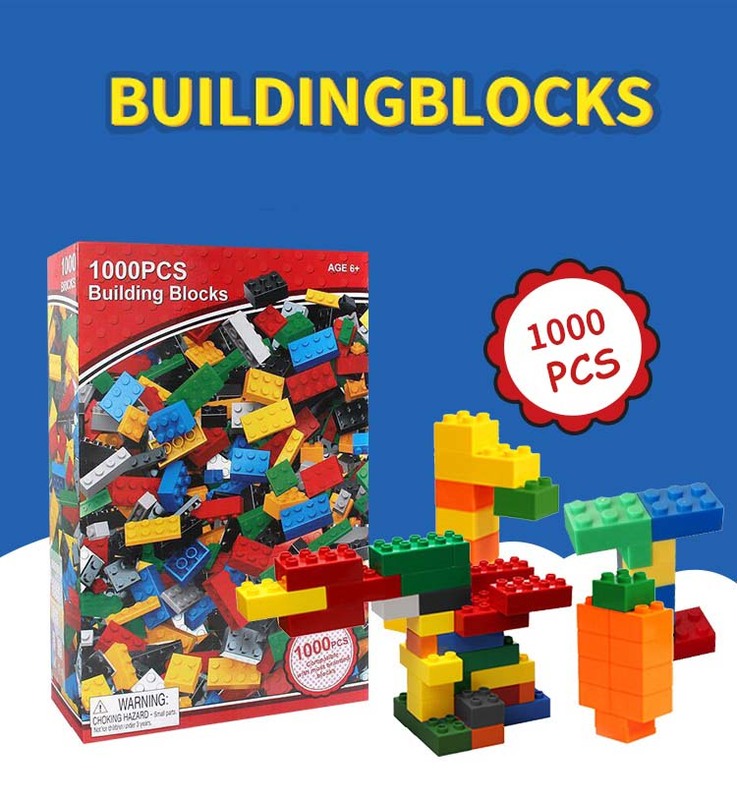 Great gift for children, they can use this block set to create buildings, boats, cars, houses, animals, numbers, and anything else they can imagine! All parts connect smoothly and connect well together. 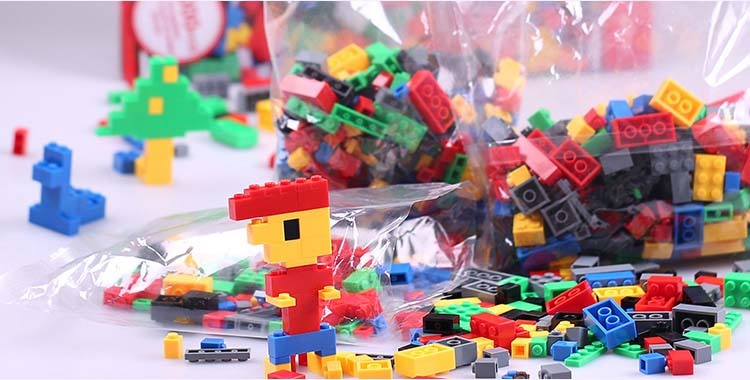 Best gift toy for your children’s happy childhood. Suitable for 6 years old and above children.